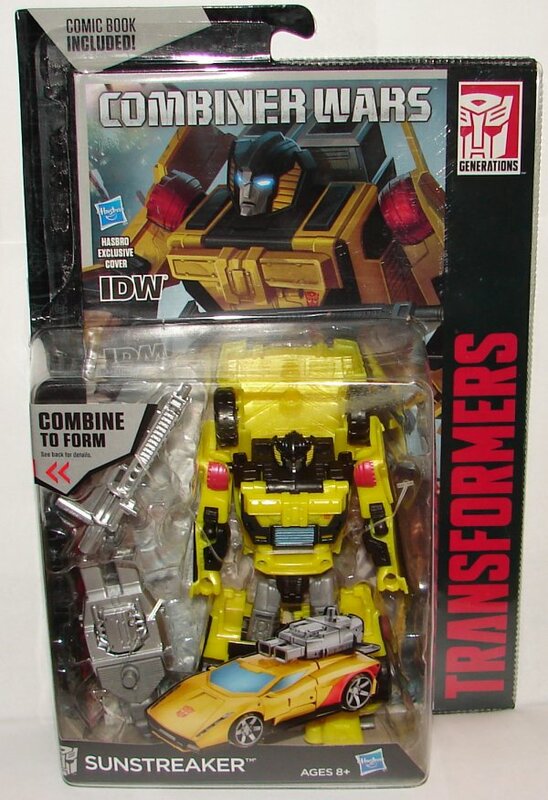 Sunstreaker is remolded from Combiner Wars Deluxe Stunticon Breakdown. 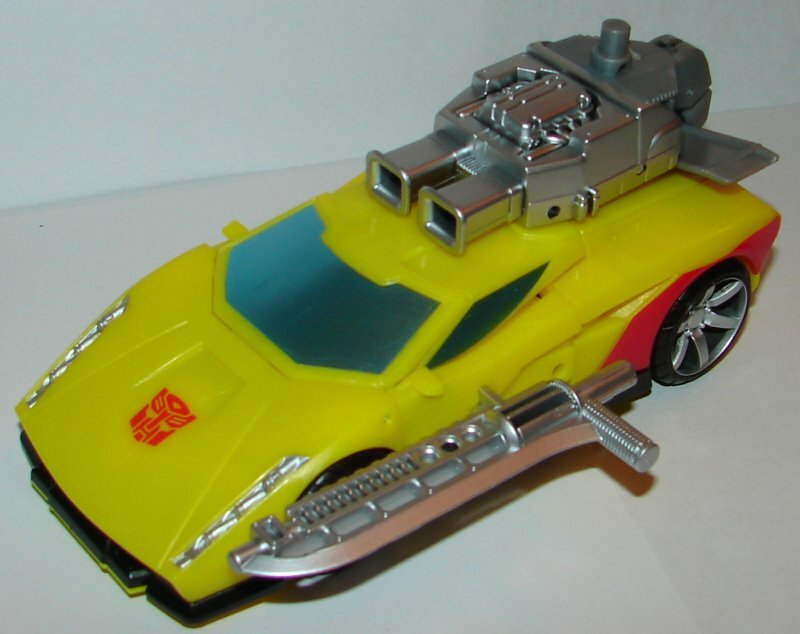 Vehicle Mode: Sunstreaker’s vehicle mode is almost perfect. For one thing, I’m not sure why there is red on his rear fenders. 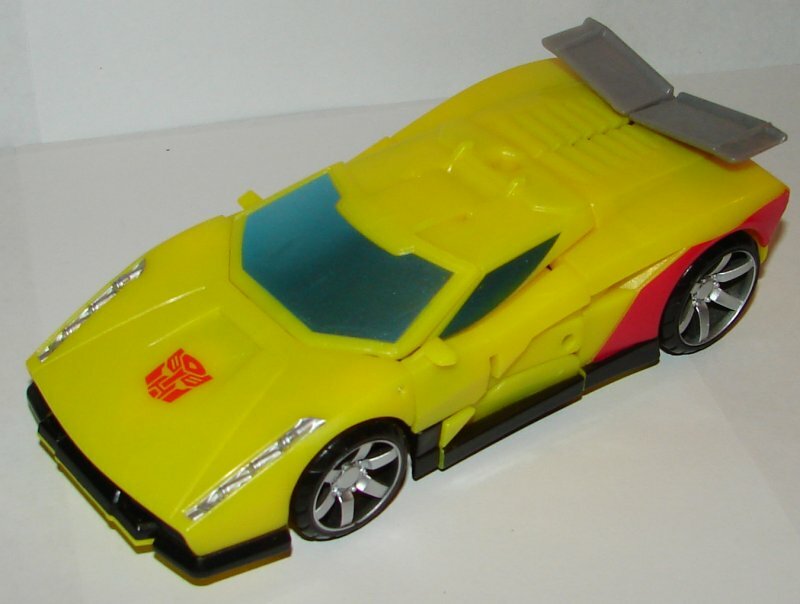 The only other problem is that he looks more like Sideswipe than Sunstreaker He’s still a Ferrari, or at least looks like one, so it is an acceptable vehicle mode for G1 Sunstreaker, but her really should have the exposed rear engine. Still, it’s pretty cool. I really hope they do Sideswipe. 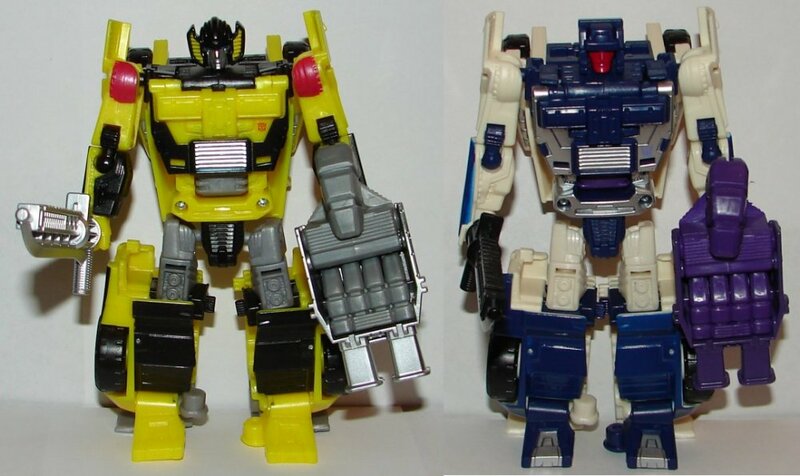 He is not part of the next wave of Autobot limbs scheduled for next year, but following that, the only Combiner limbs we know are coming are the Technobots (at least we can assume it from comments made at SDCC) so it would make sense to get another wave of Autobots. There is no way to know if we are going to get Terrorcons, Monsterbots, or Predacons, the only other combiner sets not planned so far as we know. None of them lend themselves to remolds or repaints, so I think we have a good chance of getting another wave of Autobots including Sideswipe from this mold. Robot Mode: Sunstreaker’s head mold is awesome. 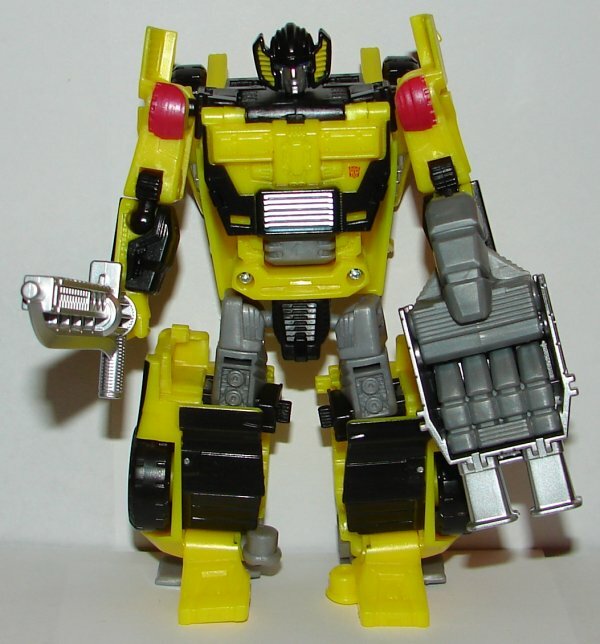 I admit, that I would prefer his chest look more like the G1, but it looks fine. Overall: I really like Sunstreaker. 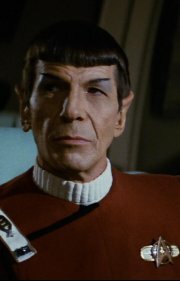 I think they did an amazing job on him. This entry was posted in Toy Reviews, Toys, Transformers and tagged Combiner Wars, Generations, Sunstreaker, Toys, Transformers, Transformers Generations. Bookmark the permalink. They faked the exposed engine with the weapon. It explains why Breakdown’s foot weapon looks like it does. Back up a bit and look at SS’s car mode with the weapon installed. Don’t look so closely or analytically – just get the basic impression of it, like a quick glance at the package photo. They did it without needing a more significant remold.